For ONU: #0 Meagan Grierson, #17 Abbey Oswald, #33 Jenna Fuller, #9 Hannah Reich, #20 Hannah Martin, #27 Sydney Leshnak, #22 Rose Nienaber, #2 Haley Moses, #12 Courtney Favazzo, #26 Sarah Puntel, #8 Mary Kate Munz. For HSU: #34 Caitlin Christiansen, #5 Evan Pipkin, #22 Kendell Groom, #14 Sarah Krisa, #10 Tiffany Van Hoose, #6 Maddie McAdams, #13 Josey Meyer, #20 Morgan McAdams, #15 Kami Jones, #16 Kirsten Parrish, #28 Kenne Kessler. Corner kick by HSU Josey Meyer [54:04]. [54:06] Shot by HSU Evan Pipkin WIDE. Corner kick by HSU Morgan McAdams [56:00]. [56:54] ONU substitution: Anna Niemeyer for Courtney Favazzo. Corner kick by HSU Morgan McAdams [60:01]. [61:11] HSU substitution: Taylor Bernal for Kami Jones. Corner kick by HSU Morgan McAdams [62:42]. [62:49] Shot by HSU Evan Pipkin BLOCKED. [62:51] GOAL by HSU Sarah Krisa (FIRST GOAL), Assist by Evan Pipkin. [64:58] ONU substitution: Siena Ward for Sarah Puntel. [64:58] HSU substitution: Olivia Hartman for Kenne Kessler. [65:27] HSU substitution: Kami Jones for Evan Pipkin. [71:43] HSU substitution: Kenne Kessler for Sarah Krisa. [72:18] HSU substitution: Evan Pipkin for Olivia Hartman. Corner kick by HSU Josey Meyer [73:35]. Corner kick by HSU Morgan McAdams [74:49]. Corner kick by HSU Josey Meyer [75:20]. Corner kick by HSU Josey Meyer [76:30]. [76:42] HSU substitution: Sarah Krisa for Morgan McAdams. Corner kick by HSU Josey Meyer [76:47]. [77:01] ONU substitution: Sarah Puntel for Siena Ward. [77:01] ONU substitution: Jordyn Martin for Abbey Oswald. [78:31] Shot by HSU Kendell Groom WIDE. 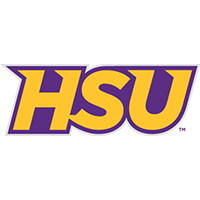 [78:42] HSU substitution: Morgan McAdams for Taylor Bernal. [81:04] Yellow card on ONU Jenna Fuller. [84:29] ONU substitution: Abbey Oswald for Anna Niemeyer. Corner kick by HSU Morgan McAdams [87:35].